-300 Watts RMS, 4-Ohm minimum load. -Boost function for solos increases the post gain volume level up to 9dB without altering your tone. -SansAmp XLR Direct Out for stage and studio applications allows you to go direct to any mixing console. -Effect Loop 2 (parallel) with Mix control to maintain signal integrity. -Buffered Tuner Output for a tuner-friendly signal that also provides a clean dry output capable of driving a second - amp head. -Parallel speaker outputs should you want to use more than one cabinet. -High quality, high efficiency, low noise toroidal transformer. -Thermal and short-circuit protected outputs. Rhythm Guitar: Tyler Classic (strat type); single, single, single. Using "Tweed" sample setting from owner's manual. Using "SRV" sample setting from owner's manual with a little more gain. Using "Metallica" sample setting from owner's manual. Using "California" sample setting from owner's manual. Rhythm Guitar: Tyler Studio Elite; single, single, humbucker. Using "British" sample setting from owner's manual. Using "British" sample setting from owner's manual with more gain. Cabinet: 1X12 closed back with Vintage 30 speaker. All tracks written, performed and produced by Alex Garcia. Note: Names of sample settings from the owner's manual are intended for descriptive purposes only and should not be construed as an endorsement or affiliation with the companies or artists named. Kelengkapan komplit,dus, manual, foot switch,cable switch,sarung/cover,bonus stabilizer..
COD boleh banget.. Jogja-Maguwo/Kalsan/Pertamina Purwomartani. Original Posted By spartacus9► hahaha bisa aj ente mas..
but over all is good! !bwt agan2 semua g usah ragu klo mo transaksi ma bro yang atu ini,aplgi cod..dijamin orangnya ramah abiss dah walopun ngetop xixixi.. Original Posted By veto72► gan,barang ud sampe nih..
wah,sellernya org jjur n bertanggung jwb nih..
pokoknya ga ragu ma agan satu ini..Recommended Seller nih.. Original Posted By leokaito► satu kata: MANTAAP!!!! makasih gan sudah mengizinkan ane mengadopsi Keyboard dock-nya. akhirnya tab7 bini ane bisa dipake kerja dengan nyaman, thanx for the keyboard. bener2 mantap barangnya. pelayanan memuaskan, ane kontak langsung direspon, ga banyak basa basi langsung deal. Cuma ada 5 di Indonesia!! Drum Noble and Cooley..Sangat RARE!! 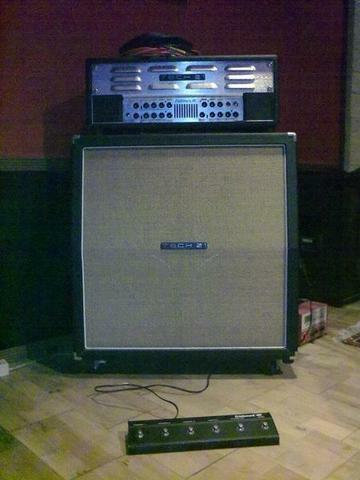 Ampli TECH21 TradeMark 300 Head+Cab--California!! Pedal Bass Drum Premier EDP RARE! !